My first villian and the reason I created my armor. 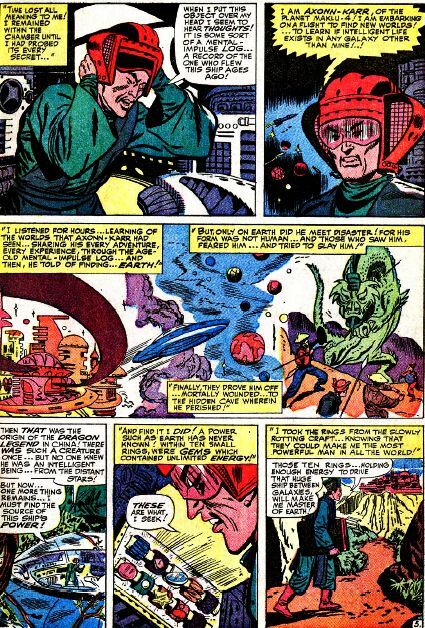 Wong Chu as documented in TOS (Tales of Suspense) #39. 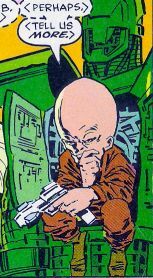 First seen in Strange Tales #89. 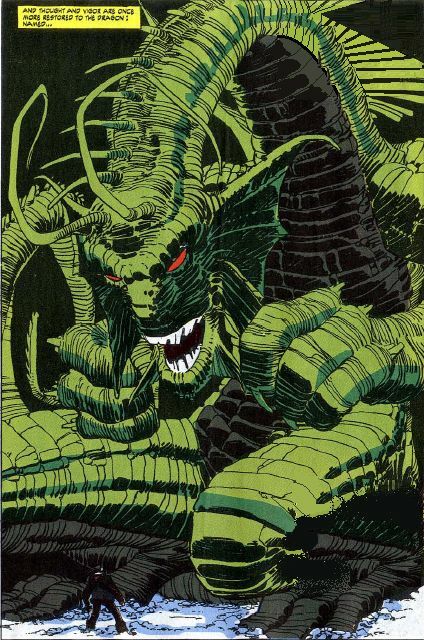 Another villain is Fin Fang Foom. His name means "he whose limbs shatter mountains, and whose back scraps the sun." 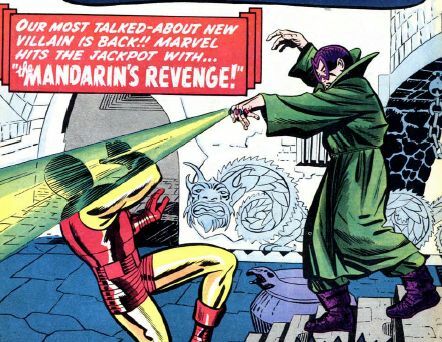 His first appearance in Iron Man is 261 when he is awakened by the Mandarin. 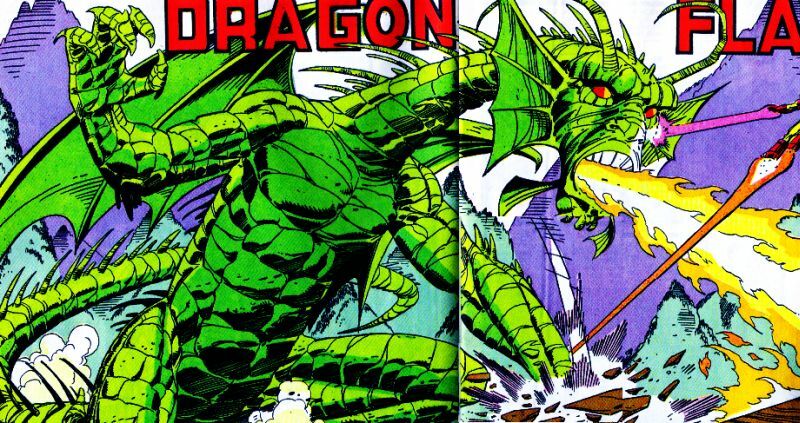 He is an ancient alien dragon that crash landed on earth thousands of years ago. It is his world's technology that powered the ship that brought him to Earth. 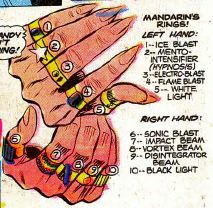 The Mandarin fashioned these power sources into ten deadly rings. 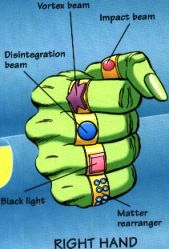 He has sought to obtain the power of these rings to open a gateway back to his world to unleash the take over of Earth. First seen in TOS #93. 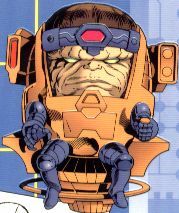 This is M.O.D.O.K. 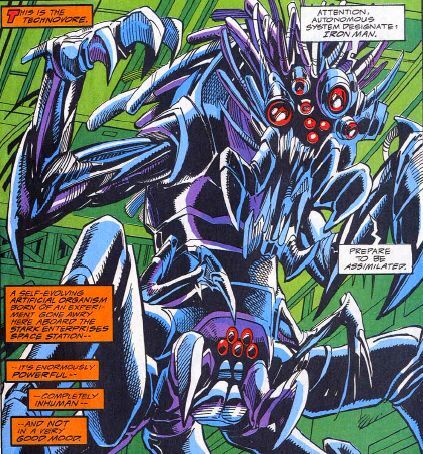 - Mobile Organism Designed Only for Killing, an A.I.M. 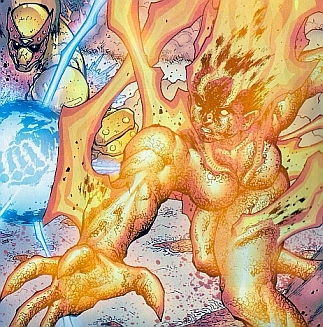 (Advanced Idea Mechanics) scientist mutated into this psionic powerhouse by A.I.M. to be a weapon. He took control for himself and now runs a branch of A.I.M. for world conquest. 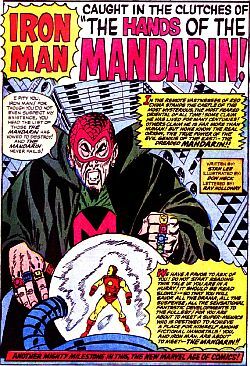 Below is the Mandarin (first seen in TOS #50), a chinese mad man that wanted to rule the world. He's hated his government for removing his wealth and hated technology for taking his culture. His rings are the real threat and so is his son, Temugin. His rings were found at the site of an alien ship that crashed. Apparently these rings were the ship's power source. 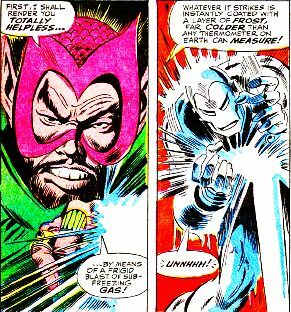 In Volume 4, the Mandarin resurfaced with the rings fused to his spinal column. The rings have been apparently worn on different fingers at different times. 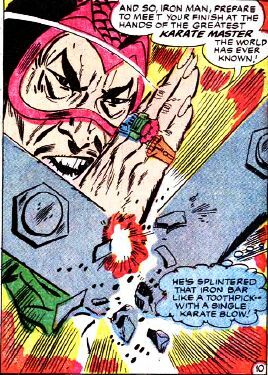 The Mandarin was also a great Karate Master able to break iron beams with his hands and feet. 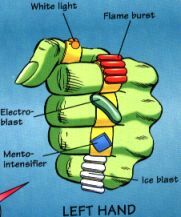 This is Ultimo, an engine of destruction created thousands of years ago to be a doomsday device. It is unknown who created him or where he came from. First seen in Tales of Suspense #76, 77, 78. Later in Iron Man Vol. 1, Issue #300, several of my former employees and friends suited up in older armors while I finished my latest armor, the Modular Armor. 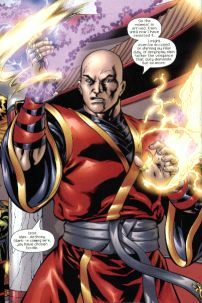 Temugin, the son of the Mandarin, has learned to use the rings as a new chinese fighting technique. He has almost become one with them. His father's legacy is what drives him. 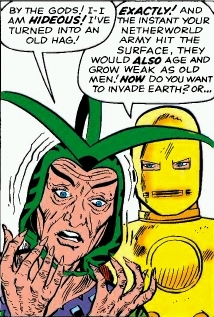 He's first seen in Iron Man vol 3. #53. 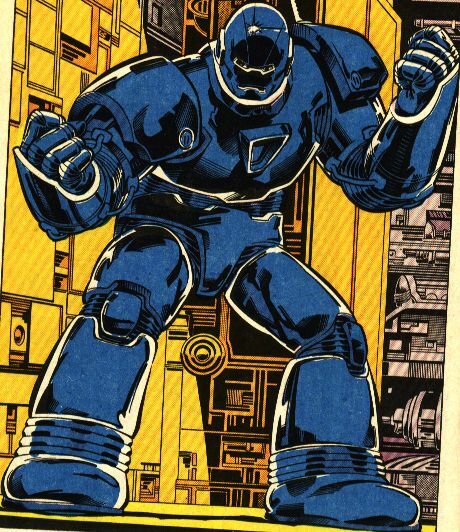 The Iron Monger was built and worn by Obadiah Stane from a notebook of scribblings that was left behind when Stane took over Stark International. The scribblings were deciphered over months and with a large team of engineers and equipment. 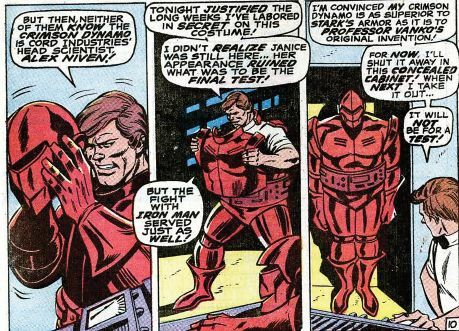 The end result was a powerful armor that Stane used to fight Iron Man. Without enough experience with the armor, Stane lost and committed suicide like his father before him. First seen in Iron Man #163 and last seen in #200. 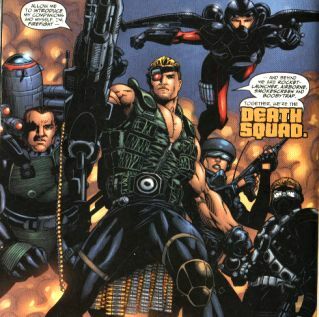 Death Squad, a five member group of professional mercenaries hired to kill Tony Stark. Firefight -the leader (machine gunner & strategist), Rocket Launcher (heavy hitter), Airborne (speed & agility), Smokescreen (to blind opponent), and Boobytrap (to entrap opponent). First seen in IM vol 3. #1. 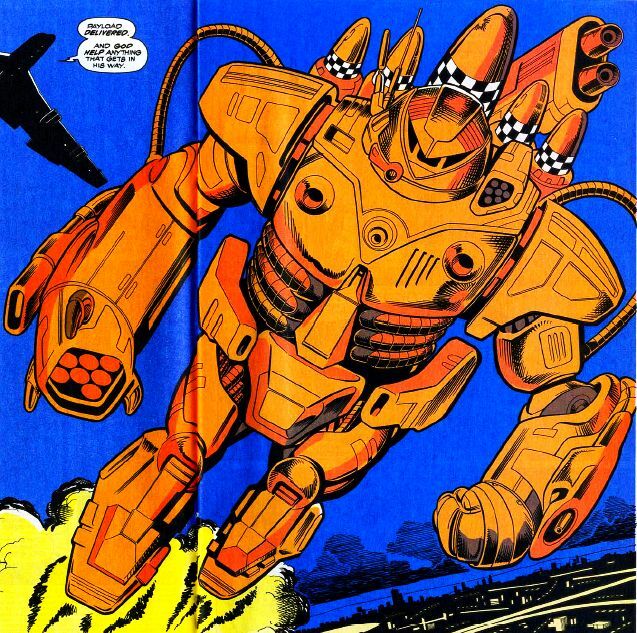 Gargantus - a huge robot neaderthal sent to conquer Earth from outer space. Aliens that gathered information on backward humans 80,000 years ago sought to enslave humanity as seen in TOS #40. Here is Dr. Strange, no not my old friend Stephen Strange. This is the self-proclaimed "greatest scientific genius" who from his own island threatened to destroy the earth with a bomb. 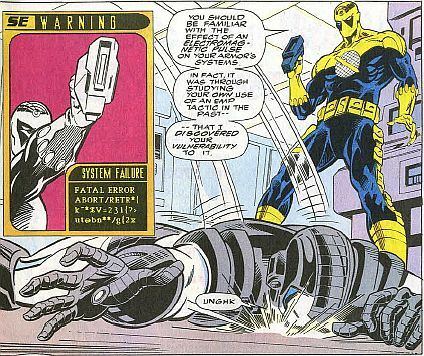 He hypnotized Iron Man and then used electronics to stop the Golden Armor. 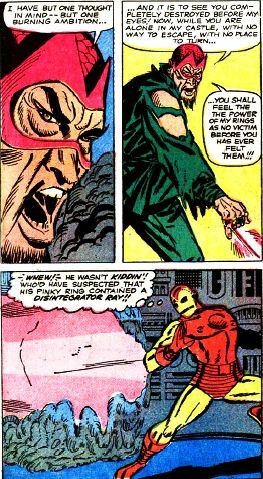 He was betrayed by his own daughter and was defeated by Iron Man as told in TOS #41. 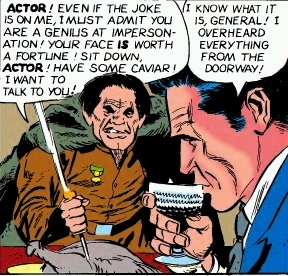 The Actor, seen here in the blue suit, first and last seen in TOS #42. Hatap, The Mad Pharoh, first seen in TOS #44. 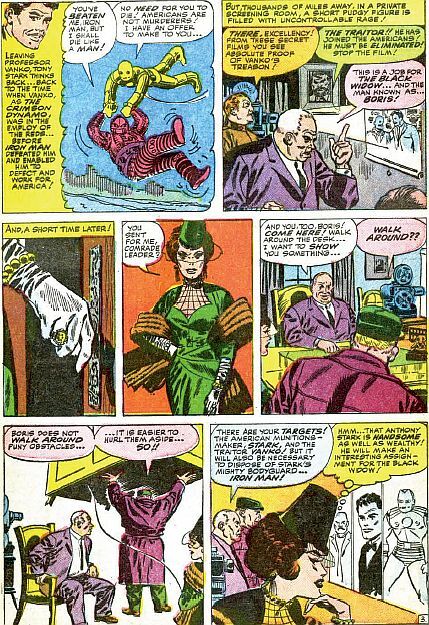 Kayla, the Queen of a place at the core of the Earth called Netherworld, first seen in TOS #43 and later in Iron Man Annual #12. It began as a part of the ancient city of Atlantis. Aeons ago, tidal waves ravaged the city. The inhabitants of the city built a great dome to protect the city. The city began to sink more year after year. And this city became known as the Kingdom of Netherworld. It's descendents of Atlanteans became Netherworlders. Kayla monitored the surface world and sought out Tony Stark to help raise the city to the surface world. Stark tricked her and build a duplicate Iron Man armor, brought her to the surface where she found she would age to her fatallly normal state. Quickly Iron Man returned her to her world where she married her General and they ruled together. 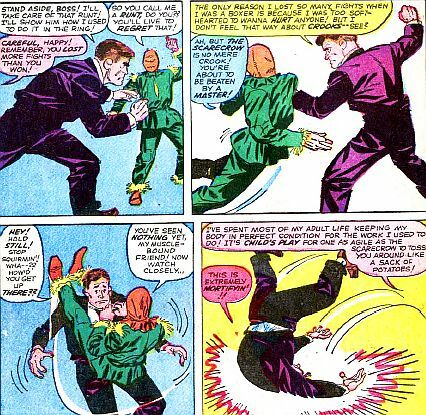 (Anton Vanko) - the creator of the CD armor first seen in Tales of Suspense #46, became a hero after fighting Iron Man. 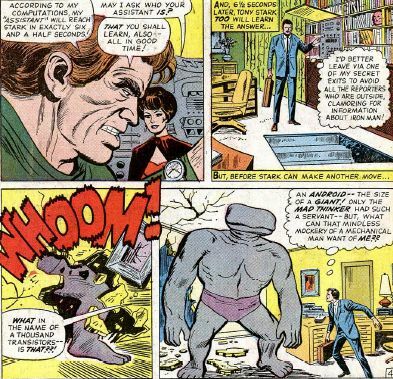 He defected to America to work for Stark, died destroying CD II in TOS #52. 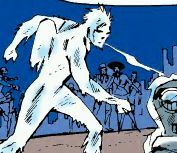 Jack Frost, first seen in TOS #45. 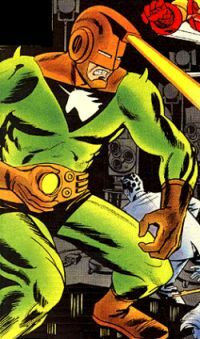 Force - Clayton Wilson, first seen as Force in Sub-Mariner #68, seen here in IM vol 1, #141. 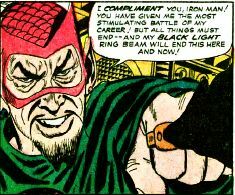 He was hired after his defeat by Namor by Justin Hammer, who financed improvements in his uniform and weaponry. 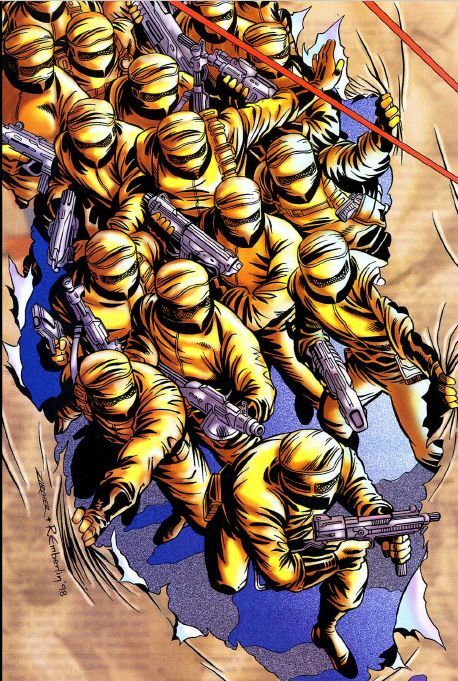 Force operates mainly through various force fields acting offensively to shoot them like a blaster, to increase his strength, to fly, and defensively as a barrier of protection. The Force Armor stands about a foot taller than the Iron Man armor. 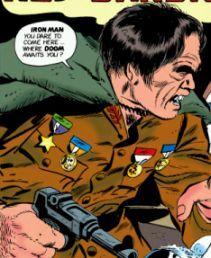 (Dimitri Bukharin, a KGB agent), first seen in Iron Man #109 and later in Soviet Super Soldiers #1. 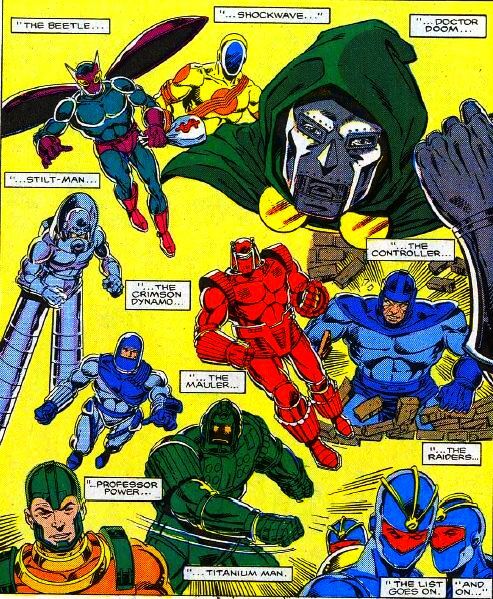 (Yuri Petrovich), first seen here in Champions #8-10, had ties to the Black Widow through his father who defected. After his defeat, the armor was taken away, and he was sent to prison. 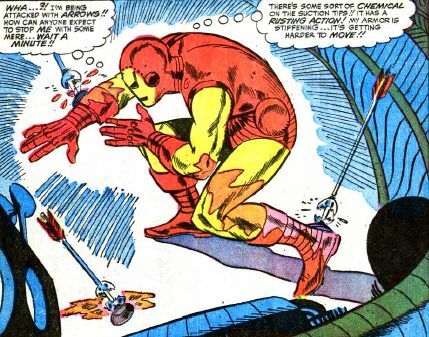 (Alex Nevsky), first seen as CD in Iron Man #21. 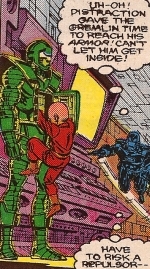 It is in #21 where he became the Crimson Dynamo. 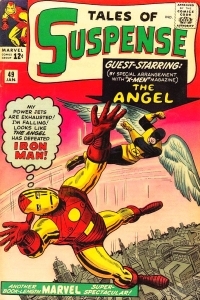 In Iron Man #15, Alex Nevsky was seen involved with the Unicorn. 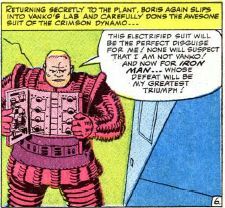 (Boris Turgenov), first seen in TOS # 52, former assistant to Vanko stole this armor, killed in this issue by Anton Vanko. 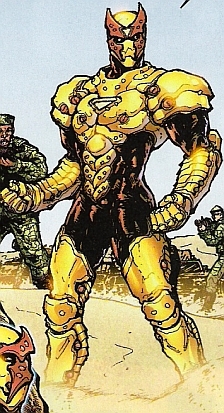 (Valentin Shatalov) - First seen in the previous armor, in Iron Man #255. 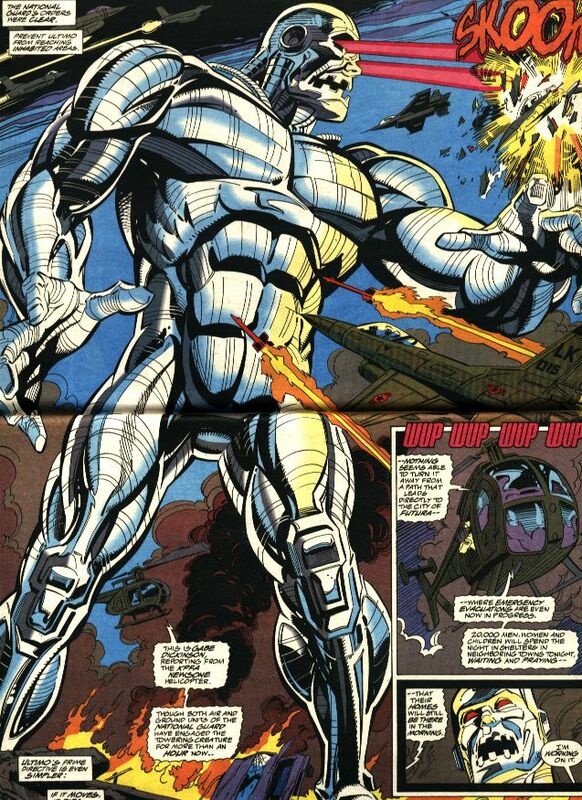 Then, later he is granted use of the new armor as it was created to shut down the Titanium Man. 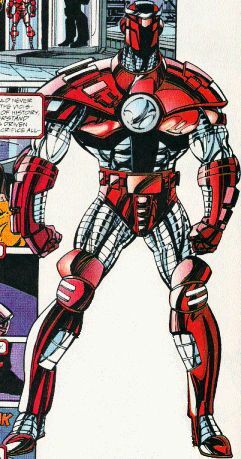 First seen in Iron Man #316 as he assisted Iron Man and Black Widow in stopping Titanium Man and ended up using Tony Stark (ironically becoming the 7th CD in #317) to wear the CD armor and killed the Titanium Man without Stark being able to prevent it. And because of his actions he lost the right to wear the new armor. 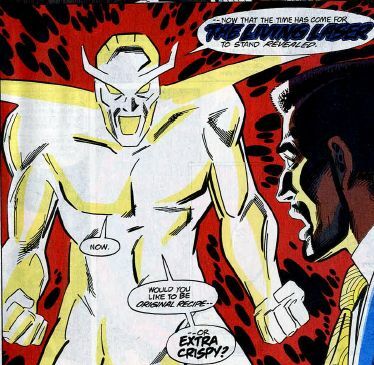 First Appeared in Iron Man #33 and died in IM #220. Spymaster - the greatest industrial spy and mercenary hired by the highest bidder. He is an expert fighter and a great engineer. 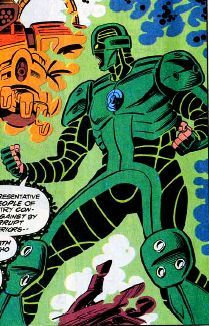 He frequently worked for Justin Hammer, even accoplishing what no other could do, stealing Iron Man armor secrets. His untimely demise was at the hands of the Ghost when he was betrayed partially phased in a wall using a device made by the Ghost. Beetle - a mercenary who used a flight suit to accomplish his missions. 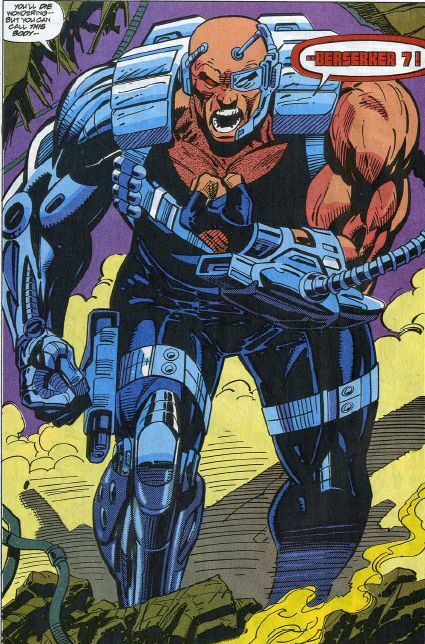 He latter attempted to fool the world into thinking he was a hero and became Mach I in the Thunderbolts. 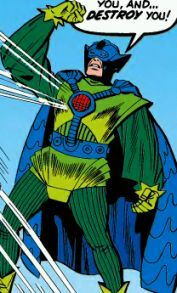 He has since reformed and served his time and is a hero as Mach III. 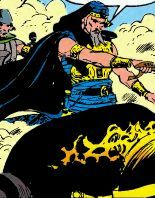 The Unicorn, first seen in TOS #56, Milos Masaryk, he was trained by the Crimson Dynamo to attack political enemies of the Soviet Union. 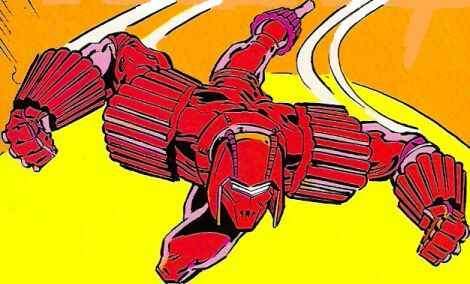 He died in Iron Man #154 and was brought back to life by the Crimson Dynamo in Soviet Super Soldiers #1. 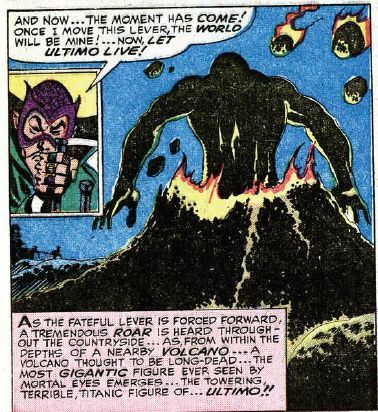 The Melter, first seen in TOS # 47. Mr. Doll, first seen in TOS # 48. The Angel, TOS # 49. 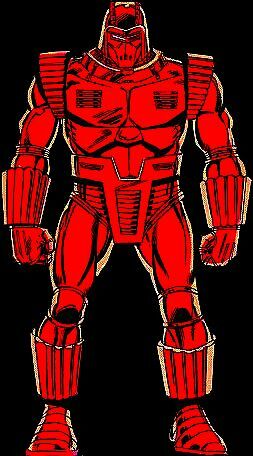 (Alex Nevsky), the armor was redesigned as seen in Avengere #130 and Iron Man #74 where Nevsky was assasinated and the armor retaken. 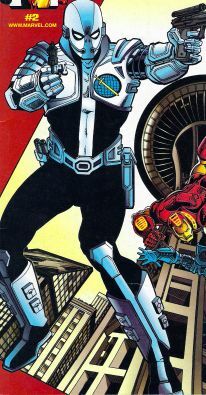 Force - Carl Walker (aka-Clayton Wilson), had his name changed with the help of Tony Stark and the U.S. federal government and actually worked for Stark for some time. While years ago, he was booked by the LAPD, his old fingerprints showed up. Sonny Burch, the late and former Secretary of Defense used him to discredit Stark. 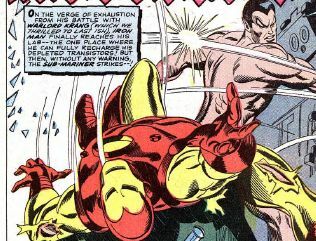 He then provided Carl Walker the means to become Force again to attack Tony Stark as seen in Iron Man vol. 3, #81 & #82. After Stark explained Burch's manipulations, Carl again helped Stark and the government defeat a new enemy. 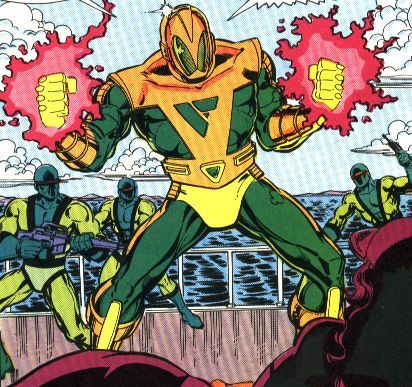 Vitriol-planed to poison Iraq's rivers with her bioweapon that ate away at all metal by turning it into acid. She was eventually beaten by a large amount of antiacid solution, cleverly thought out by the then Secretary of Defense, Tony Stark. 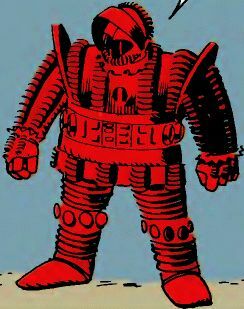 Red Barbarian, first seen in TOS 42. A Russian General, who noted for his brutality, controlled a vast spy network located behind the Iron curtain. 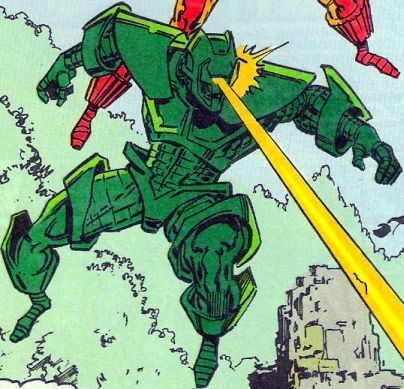 He hired The Actor, to infiltrate Tony Stark's business/government contracts to get ahold of Stark's latest invention, the disintegrator ray. The Actor was a man who could impersonate anyone he saw, instantaneously and visually. 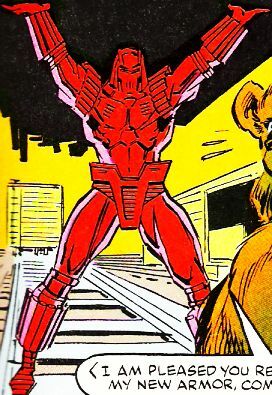 The Red Barbarian killed the Actor when he failed his mission. The Actor died knowing the secret of who Iron Man was. 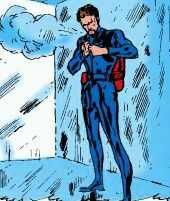 Someone unidentified wore the classic version of the suit, version V in Captain America, vol. 3, #42. 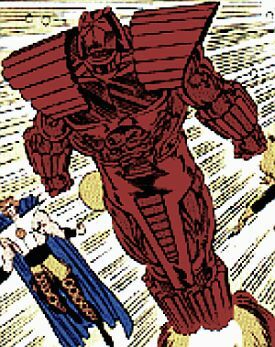 The next appearance was of a "Mark II" version of the original armor created by Anton Vanko, the original wearer and inventor of the suit. The helmet was found by Gennady Gavrilov, a student who controlled the armor through the helmet. 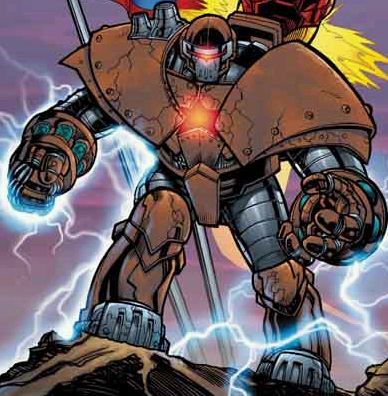 He eventually entered the armor and had some adventures documented in the Crimson Dynamo mini-series. Gennady later stored the armor and kept it hidden. 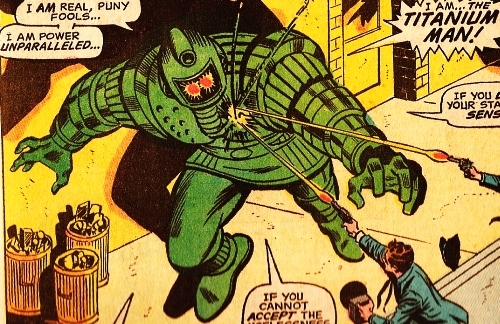 Titanium Man - The original Titanium Man was Boris Bullski seen first in TOS #69, seen here is a picture in Iron Man 22, when Boris came to retrieve Alex Nevsky. 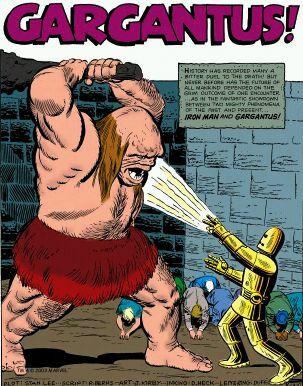 Titanium Man 2 - The Gremlin was first seen in Incredible Hulk #187. 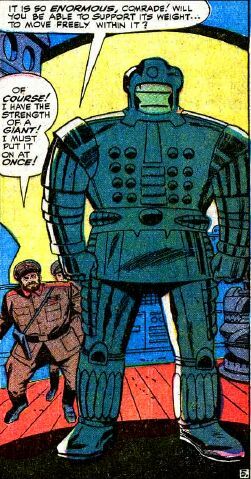 Titanium Man was affiliated with the Super Soviet Soldiers. 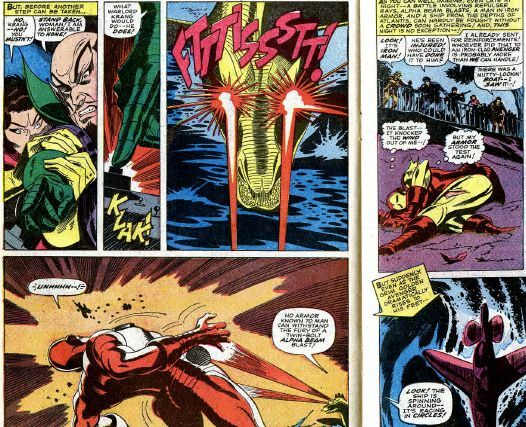 The last appearance of the Gremlin was Iron Man #229 when his armor was ignited by Iron Man's boot jets. First seen in Iron Man: The Inevitable #1. A third Spymaster, Sinclair Abbot had the second Spymaster killed. 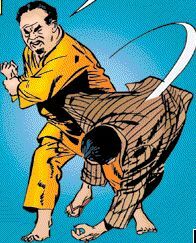 When confronted by Happy Hogan, they fought and fell several stories. Happy was left comotase due to this fall and later died. 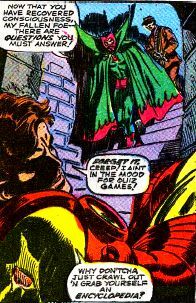 The Ghost - First Appearance Iron Man #219. Name unknown, he gained his reputation by killing the first Spymaster by turning off his intangible equipment while he was half-way through a wall. He wears a suit that renders him invisible and intangible. The Ghost is extremely intelligent and seems to have a grudge against big tech companies. 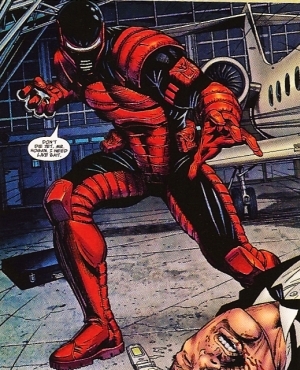 The Crimson Dynamo III, Alex Nevsky, defeated the new Iron Man, Eddie March, who had a blood clot on his brain. This self-sacrifice got me back in the game. The Scarecrow! - TOS 51 - a Cuban, who has perfected his body to be flexible and use that flexibility to be a perfect thief. The Black Widow and her super-strong brother, Boris. 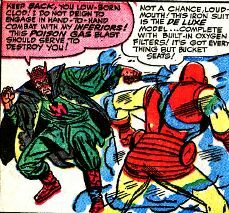 Boris becomes the Crimson Dynamo 2 in TOS 52. Black Widow steals Tony Stark's antigravity ray and tries to destroy Iron Man - TOS 53. 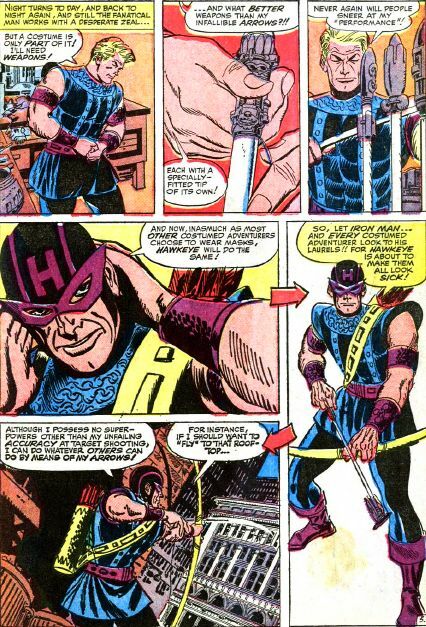 TOS #57 - 1st Appearance of Hawkeye the Marksman - He was influenced by the Black Widow to attack Iron Man. Hawkeye attacks with chemical arrows! 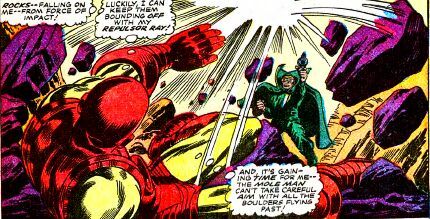 TOS #58 - Iron Man takes on Captain America. Chameleon is disguised as Captain America and fools me into taking on Cap. TOS #59 - The Black Knight tracks down Iron Man at Stark Industries. This issue is also the return of a Captain America solo series since Cap came back in the Avengers. TOS #60 - Sensational Hawkeye and The Black Widow return! 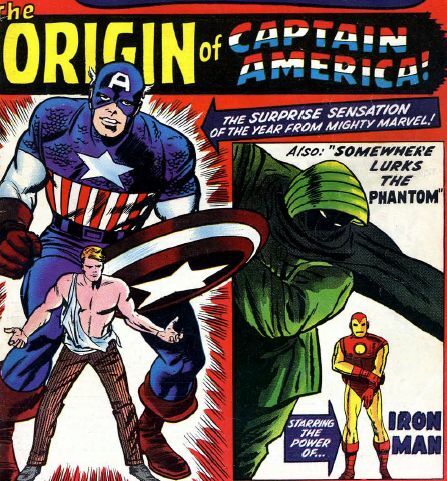 TOS #63 - The Phantom fights Iron Man and the Origin of Captain America and Bucky! 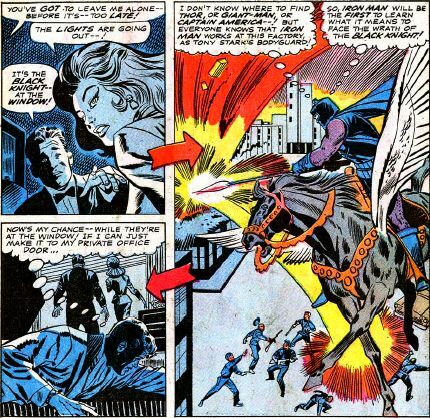 Titanium Man - The original Titanium Man was Boris Bullski seen first in TOS #69 - 71 and the subsequent fight that lasted 3 issues! 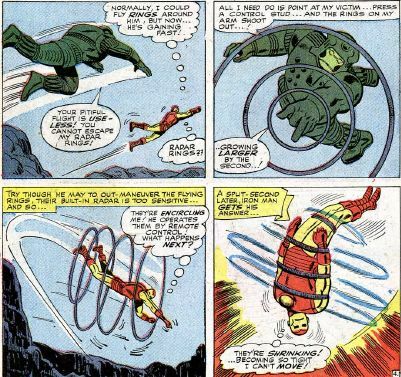 Titanium Man fought Iron Man in Issue 69 of TOS. 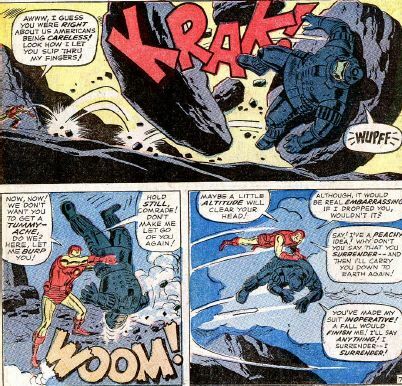 Titanium Man fought Iron Man in Issue 70 of TOS. 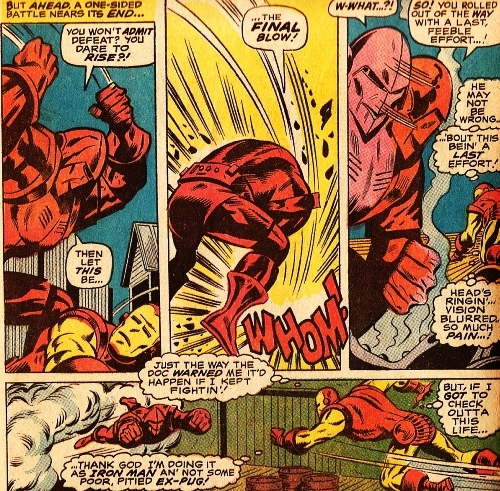 Titanium Man fought Iron Man in Issue 70 of TOS and brought down in issue 71. 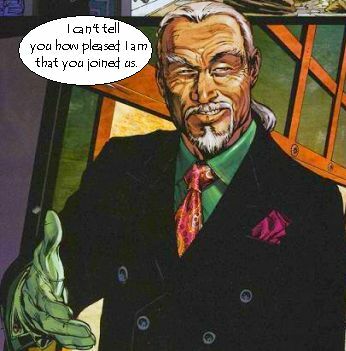 Moon Men - Cousin Morgan met with Count Nefaria to discredit me and make the world think I had lost my mind seeing UFOs. Then, I did see one and fought the moon men. When Cousin Morgan corroborated my story, I gained my credibility back in TOS #68. 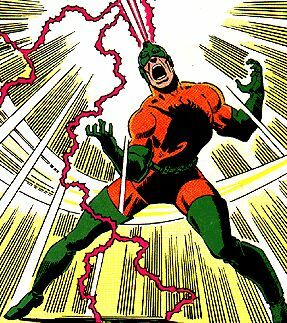 First seen in Tales of Suspense #72, The Mad Thinker sends his Awesome Android to capture me. My alter ego shows up to give him a piece of my unibeam! 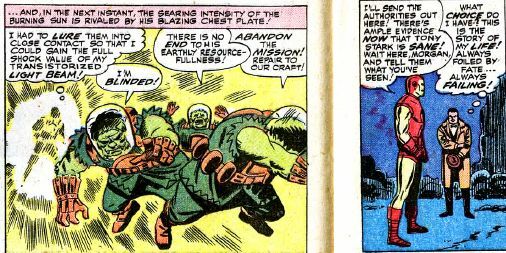 First seen in Tales of Suspense #73, I track down and confront The Black Knight! 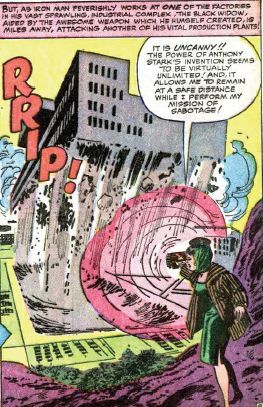 First seen in Tales of Suspense #74, 75, 76, Happy Hogan is critically ill and needs my new untested invention to save him. 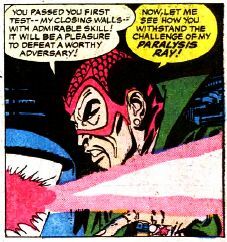 Unfortunely the Enervator Ray turns him into the Freak. Krang from Atantis created a mechanical ship that looked like a dragon and attacked me ripping my armor to shreds, TOS #79. 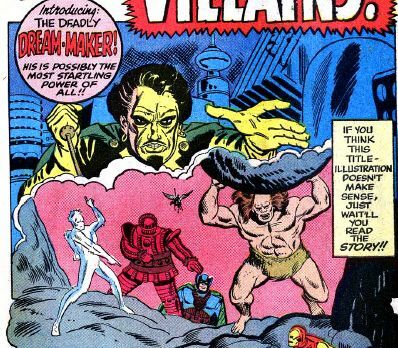 I thought I might get some help from my fellow Avenger, Prince Namor, but I got a sock in the head over a misunderstanding in TOS #80. 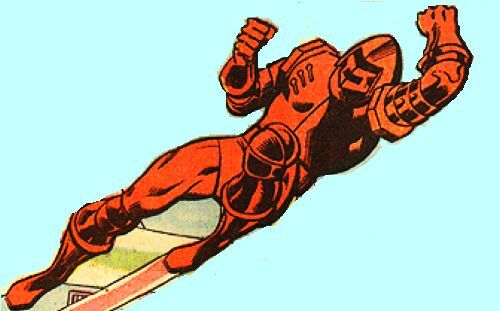 Titanium Man returns in TOS #81, 82, 83. 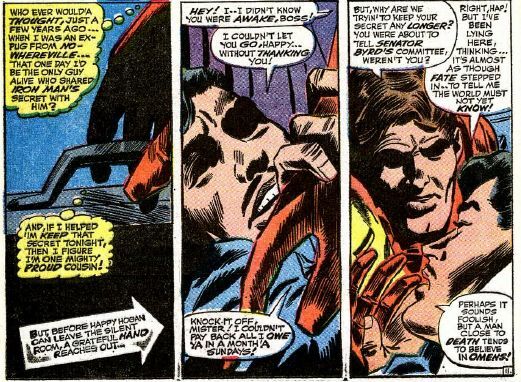 Happy takes over as Iron Man in TOS 84, while I suffer with my heart. The Mandarin transports Happy as Iron Man away at the end. TOS 85, I build a more powerful classic suit of armor to take on the Mandarin and protect my fragile heart. TOS 86, I took the fight to the Mandarin and rescued Happy Hogan. 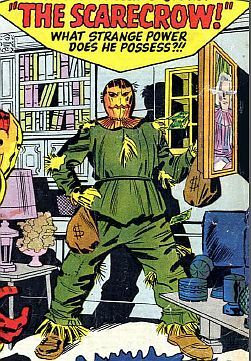 The Mole Man shows up in TOS #87 and 88 taking larges amounts of land from around the world. 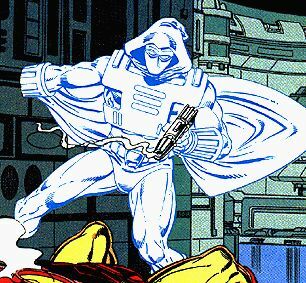 A second Spymaster came out of the Taskmaster's school, and his expert hand to hand combatants fought Tony Stark injecting him with cells that altered his personality as seen in Vol 3, #8. 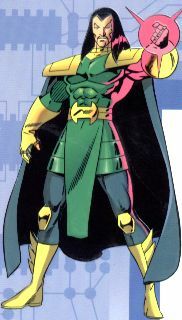 He fought Iron Man, later as seen in Iron Man: Bad Blood #2.